Sylvia Van Boskirk is currently a Junior at Creekside High School. She is a member of the school's Jazz Band, Wind Ensemble, and Marching Band under the direction of Mr. Richard Fowler. 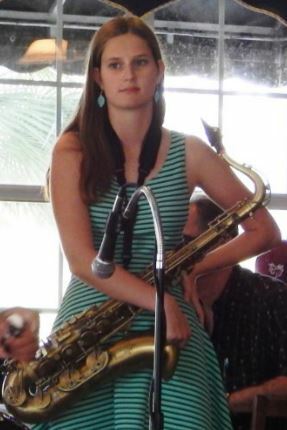 She is also the Alto Sax section leader in the CHS Marching Band. She has been a musician for eight years, playing the Tenor, Alto, and Soprano Sax. Sylvia's favorite Jazz genres include Big Band, Swing, and Funk. Her Jazz idols are Lester Young, Coleman Hawkins, and Duke Ellington. Sylvia has performed at the Lincoln Center Jazz Festival (2014), Lakeside Jazz Festival (2014-Present), the SAJS Jazz Jams (2016-Present), and volunteered to play at the Westminster Woods Senior Living Community. Her goals in education and life are to become a more skilled player, learn more about Music Theory, and to stay involved in Music throughout college and life. Henry Van Boskirk is currently a freshman at Creekside High School. 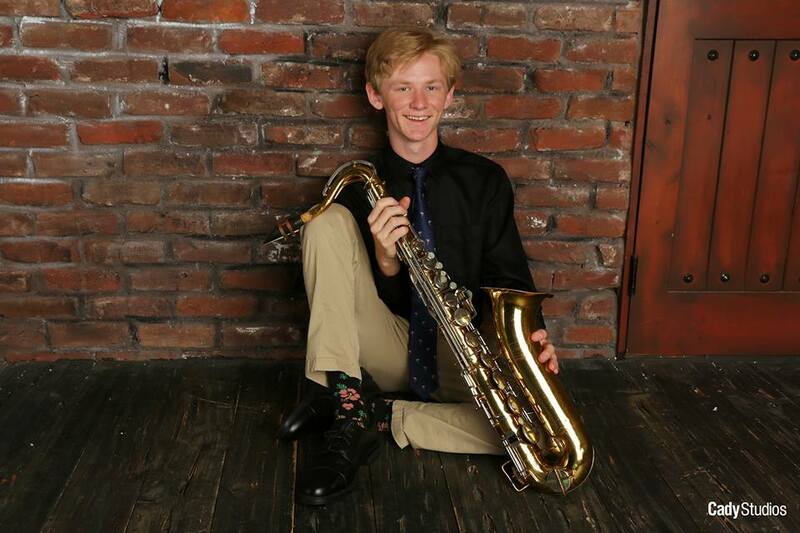 He is a member of the school's Jazz, Marching, and Concert Bands under the direction of Mr. Richard Fowler. He has been a musician for eight years and plays the piano as well as the trumpet. His favorite genres of music are Jazz and Ragtime. Some of his Jazz role models include Scott Joplin, Duke Ellington, Count Basie, and Fats Waller. Henry has also been involved in many performances. He has performed in the Florida All State ensemble as a piano player, the Lakeside Jazz Festival, and, of course, our monthly Jazz Jams. Henry has also volunteered at the Westminster Woods Senior Living Community. One of his goals in education, music, and life is to improve his skills as a jazz piano player. You can see Henry and many of our other members perform at our monthly Jazz Jams! At age 3, Linda Cole began singing with her father and mother, James and Erma Cole, on holidays and special occasions, at home parties and throughout the community of Freeport, Illinois; delivering love, joy, peace and happiness, to all their listeners. In the following years, as the family added six more singing Cole children, Linda became instrumental in the formation of the "Singing Cole Family"; known throughout central United States. The "Singing Cole Family" was honored by the Illinois History magazine in 1963 and 1965. After 17 years of "gospel" and "pop" music experience with her family, Linda branched out into "rhythm & blues" while traveling from Manhattan, New York to Detroit, Michigan (as an opening act for the Motown Review), where she released several hit singles and was the leading lady in the stage play and "made for TV movie", 'Talkin 'Bout Love; and on to Los Angeles, California. She has worked with such artists as Billy "Spinner" Henderson of the superstar group, The Spinners; and Billy Davis, Jr. of The Fifth Dimension. 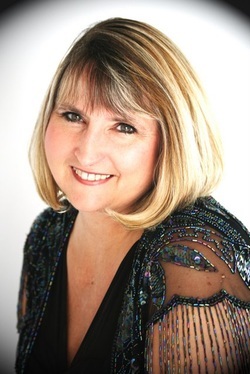 For 10 years, Linda was musical director and vocal coach for a non-profit organization in Pasadena, California, and there she directed a gospel choir, a children's choir, a gospel ensemble, and performed with a "top 40" band called the “Children Of Light” and a jazz combo called, "The Chick Glenn Combo" under the direction of Dr. Glenn W. Kinley. She also wrote children's songs and gospel songs and was the vocal arranger for all of the groups. By 1991, Linda had relocated to the Central Florida began singing "straight ahead jazz" and "standards". She has appeared in such diverse rooms as Heidi’s, Cocoa Beach, FL; Downtown Blues and Jazz Club (Sapphire Club), Orlando, FL; Peter Scott's in Longwood; FL the Hilton, the Chef & Cleft, Charleston, SC; and other fine restaurants and jazz spots throughout the Southeastern United States. Linda Cole adds to her list of accomplishments: engagements at the Ritz Carlton, Amelia Island; Spruce Creek Fly-In Country Club; the Central Florida Jazz Society and Northeast Florida Jazz Association, Inc.; ABOTA (American Board of Trial Advocates) and Flagler College in St. Augustine, FL. She was the opening act for David Benoit at Light Up Orlando-1991 and was special guest and recording artist for the "Yummies" cassette, recorded live at the 3rd Annual Jazz Benefit Show for the Brevard County Community Food Bank, sponsored by "Jack Simpson's Jazz On The Beach". She was headliner and opening act for Spyro Gyra, at the Ormond Beach "Jazzmatazz" '93, Chuck Magione at Jazzmatazz '94, Richard Elliott, Jazzmatazz '95 and Acoustic Alchemy in '96. Linda was featured vocalist with the U.S. Navy Orlando Jazz Big Band at Seminole Community College in Sanford, Florida; performed the National Anthem for the Rolex 400 24-Hour Race for NASCAR at the Daytona International Speedway, February, 1995 and the 1995 Spoleto Festival (headliner-Chick Corea) in Charleston, South Carolina. Linda was the guest artist for the Neophonic Orchestra concert, under the direction of Mike Arena and is scheduled to appear at numerous upcoming jazz festivals. Linda adds to the many highlights of her career, a cast member with Daytona Opry(a spin-off of the Grand Ole Opry) a guest appearance with the "Count Basie Orchestra"; opening act for Bob Newhart during the Florida International Festival series of opening acts for the London Symphony Orchestra; the Temptations; jazz legend Mark Murphy at the Cocoa Beach Jazz Festival; and a Post 9/11 musical American tribute for Rudolph Giuliani. As an advocate for victims of crime and artists with special needs, Linda Cole serves on the board of the Victims Advocate Coalition of the Seventh Judicial Circuit and the Very Special Arts Florida. Linda recently was voted to sit on the Governing Board of the Flagler Auditorium, Palm Coast, FL. In 2008, Linda co-directed and starred in the historical play, CROWNS, at the Flagler Playhouse in Bunnell, FL. a commissioned work to commemorate the 100th anniversary of the NAACP. She is currently performing as guest soloist with the internationally-known Nancy Waldman Trio, including Doug Matthews on bass and Warren Cohen on drums. Professional musician and saxophone and clarinet mouthpiece maker. Proficient on sopranino, soprano, alto, tenor and baritone saxophones, soprano and bass clarinet, piccolo, concert, alto and bass flutes, recorders, oboe, English horn and vocals. Background: Born in Detroit in 1951. Raised in Allen Park in downriver Detroit. Relocated to Ft. Myers, FL in 1976, Miami in 1979, Orlando in 1980 as a long term resident. Homeowner in St. Augustine at Crescent Beach currently. Education: Catholic School elementary and high school graduate. Michigan State University. Attended Edison Community college in Ft. Myers and Florida International University on scholarship. Graduate of Central Florida University in 1983 with a B.A. in saxophone performance. Work experience: Computer operator and data entry until 1986. Woodwind instructor (retired 2006) both in the Orlando area. Performing experience... high school rock band and club work in the Detroit area. The Ft Myers symphony as an oboist for two years. Freelance Dance and big band performer. Worked with a smooth jazz band called Speakeasy in the 80's, convention, nightclub and private employment doing bar mitzvahs and weddings in Orlando. Performed with "Frankie and the West End Boys" at Disney's Pleasure Island in the summer of '96. Played clarinet in a Klezmer band under the direction of Jay Marder. Professional engagements in St Augustine with Roland Fleming, the Palm Coast Swing Band, ET Swing and Don Durkee/Bill Doyle quartet. Rhys Bennett, a freshman at Florida State University, first heard about SAJS in his freshman year of High School. He has applied for three of our scholarships and has been granted the chance to go to UNF jazz camp his freshman and sophomore years. He is a member of the Lighthouse Big Band and has performed with the Saint Augustine Community Band. His main inspirations are Gerry Mulligan and Gil Evans who have shaped his playing throughout his high school career. He has directed VBS at Memorial Presbyterian Church and has received several awards for his solo playing. He has gotten a superior rating at state solo and ensemble his sophomore, junior and senior years of high school. Bill Prince, a professor emeritus at the University of North Florida comes from a background rich in music. 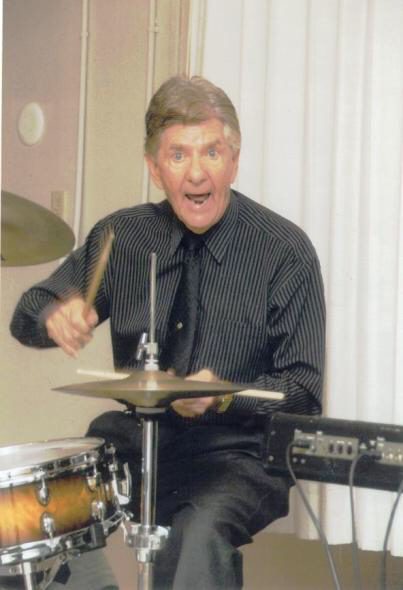 He has performed with numerous bands and orchestras including Buddy Rich, Billy Maxted, Pee Wee Hunt, the NORAD Band, the Denver, Ft. Lauderdale, Palm Beach, and Jacksonville Symphonies and the American Wind Symphony Orchestra. He has also performed with a number of well-known big bands including Xavier Cugat, Ray Anthony, Tex Beneke, Les and Larry Elgart, Harry James, Tommy Dorsey and Louis Bellson. He has appeared on TV shows in the United States, Canada, Japan, the Philippines, Costa Rica, Colombia, and Ecuador. Bill has performed on over 50 albums including his The Best Kept Secret in Jazz. He can currently be heard on Duffy Jackson's CD, Swing! Swing! Swing!, Buddy Rich's CDs, Mercy Mercy, and The Best of Buddy Rich. In more recent years Bill has developed a cabaret show that he performs on cruise ships around the world. One of Bill's most unique talents is his ability to perform professionally on several instruments. For example, although he played trumpet with Buddy Rich, he was first offered a chair in the saxophone section. His performing instruments include trumpet, flugelhorn, trombone, flute, clarinet, saxophone, piano and electric bass. Bill produced his own CD, Happy Thoughts, on which he composed, arranged and performed all parts. Bill holds the Doctor of Musical Arts degree with a major in Theory and Composition from the University of Miami. He has taught at Florida Atlantic U, the U of Colorado/Denver, St. Francis Xavier U, Nova Scotia, the U of North Florida, and served as a visiting lecturer at Cape Town U and Natal U, South Africa. Music has taken him to all 50 states and 81 countries of this world. Bill has received Undergraduate Teaching and Outstanding Teaching Awards and student groups under his direction have twice won national Jazz Band competitions. He was also awarded first place in an IAJE Jazz Composition Contest. Bill's compositions and arrangements have been performed and recorded by professional, college and university jazz ensembles throughout the United States and Canada. In 2000, his Concertino for Jazz and Legit Clarinets was recorded by the Warsaw (Poland) National Philharmonic. A native of Brooklyn, NY, Eddie fell in love with music and drums during the Big Band Era. He spent many days at the New York Paramount Theater in NY. Sometimes, he went there when he should have been in school. He especially enjoyed the Tommy Dorsey Band with Buddy Rich on drums, and of course Benny Goodman with Gene Krupa. His first "professional job" at age 14 was playing at a swimming pool in Coney Island. The pay was a free summer pass to the pool. Eddie began his formal training on drums at the Wurlitzer Music School in Manhattan, and later, at the Cozy Cole/Gen Krupa Drum School. After joining the U.S. Merchant Marine during the war years, he moved to St. Augustine and in 1989 teamed up with John Patterson and formed the St. Augustine Jazz Society. He formed his band "Swing's The Thing" in 1999 which is still very active today. Jamie began her music career 55 years ago as a pianist, and began studying classics at age 7. She began playing in churches at 8 years old. At 9, she was invited to sing alto in the adult choir. While living in Ohio, she mainly played for churches, weddings and local upscale restaurants, but never sang while playing piano. After moving to Florida about 12 years ago, her music career hit the sky with over 700 performances. She played for three years every Friday and Saturday evening at Fontana’s Italian Restaurant, and was immediately asked to join a 9-piece band performing every Tuesday for 9 years as pianist and vocalist. In 2005, her trio performed in the 2005 Superbowl for the Bob Hayes Memorial Tribute, and in 2006, she performed at the Liberace Museum in Las Vegas. In 2009, someone who had heard her sing a karaoke tune invited her to St. Augustine one evening, and had secretly enrolled her in a singing contest. She took 2nd place. Others then began inviting her to sing with the local Jazz bands. Her piano “Bamboozle Show” is performed from Jacksonville through Palm Coast in retirement communities and assisted living facilities combining “Name That Tune”, “Stump the Pianist” music trivia information and sing-a-longs as a Music Therapy program. She serves as a church pianist in Palm Coast and sings with the E.T. Swing Band as well as The Boston Connection. Ed Hersom has been playing the trombone since high school. He then attended the Navy School of Music from 1955-1959. While at Fort Smith, he played with various bands around that area including the Annapolis band for the Academy. Ed moved to South Florida, Palm Beach area in 1998 and sat in with several bands. 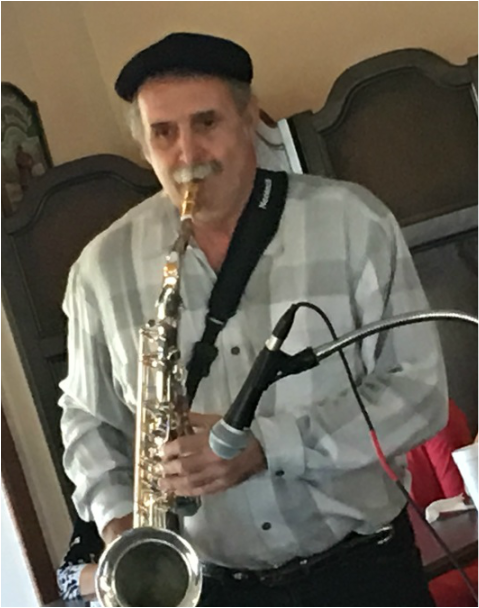 Currently, he resides in St. Augustine and plays regularly as a sit-in with the Boston Connection Band on Thursdays. He adds a great “Dixieland” sound to the band. Joyce came from a family of musicians. My mother was a singer and choir director, organist and music teacher in schools. My cousin was a symphony conductor in Berlin, Germany. Discovering our genealogy in Sweden, in a supper club, I heard someone singing like me. “No one sings like me,” I told my daughter. I asked what the name of the band was, and they were “The Lundgrens”. Music has been in our blood for generations. After graduation from high school, I went to California and sang USO shows in San Diego, (dance bands that entertained in officer’s clubs). While I was in Palo Alto, CA, I sang at Max’s supper club, the original accompanist was replaced by Billy Joel’s backup. Wow, did we make that supper club swing. While in college in Logan, Utah, I participated in musical theaters for two years taking the 2nd lead of every show they did. I have always sung in church choirs and as a soloist. Clint Eastwood loves jazz, and when in Monterey, I sing at his supper club. For 15 years, I sang with Bob Fountain, a well-known jazz player at Buckhead in Atlanta. 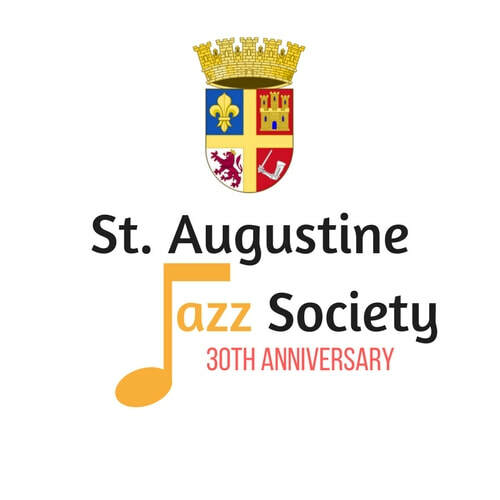 I have found a new music home in St. Augustine with fabulous jazz musicians. Sings, plays the sax, piano and the bass guitar with The Roland Flemming Connection AND E.T. Swing. James has a degree in Music from Jacksonville University. He is a native of St. Augustine. James recently underwent a series of amputations in the past few months, and as of this writing (May, 2014) is still in rehab. His attitude is more than amazing. His face just lights up when visitors come to see him. Local musicians who are friends (Jamie Lee & Roland Flemming) have held mini-concerts with him on vocals right at the rehab facility, much to the delight of the other patients and staff.